Southeastern Utah Eye Clinic is a primary care optometry office in Price, Utah. Dr. Judy Saccomanno, Dr. Cori Callahan, and Dr. Mason Livingston are licensed optometrist that focus in general family eye care. 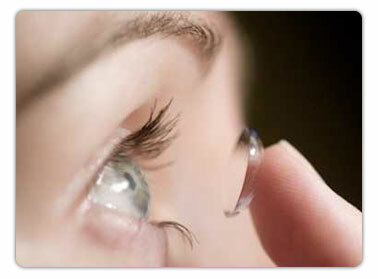 We specialize in all areas of eye care including glasses and contact lenses. Annual eye and vision examinations are an essential part of preventative health care. Optometrists are primary care health providers who can help diagnose and treat eye conditions before they become a problem. Many eye and vision problems have no signs or symptoms and if left untreated, can pose a serious problem to vision and health. Early diagnosis and treatment can maintain good, healthy vision and prevent vision loss. Eye infections can affect any one and any age group. These infections can arise from bacteria, fungi, viruses, or allergies. Infections can occur in different parts of the eye and can affect one or both eyes. Symptoms of an eye infection may include redness, itching, pain, mucous discharge, or reduced vision. Finding out the cause of the infection is essential for correct treatment and minimized complications. Our doctors are highly trained in providing both pre and post operative examinations for LASIK and cataract surgery. We work closely with surgeons and can provide all of the information necessary to help with the surgery. We also provide all of the post-op examinations in our office, giving patients close access to local doctors. LASIK and cataract surgery are simple out-patient procedures with minimal complications; however, occasionally problems arise from surgery. Our office is trained and prepared to provide any care and treatment necessary. Contact lenses are considered medical devices that can be worn to help correct vision while reducing the dependence on glasses. Although contact lenses are mainly worn for cosmetic and aesthetic reasons, contacts can also be worn to correct vision in corneal diseases such as keratoconus. Many people prefer contact lenses instead of glasses while playing sports or participating in outdoor activities because of the enhanced peripheral vision and can wear non-prescription sunglasses. Our doctors fit most brands and types of contact lenses and will help obtain optimal vision while reducing the chance of eye infection or other contact lens associated problems. Dry eye is the result of insufficient tears needed to lubricate the eye. Tears are essential for maintaining eye health and to provide crisp, clear vision. Dry eye is a result of the body's inability to produce enough tears or stable tears. Our doctors are trained to diagnose and treat all types of dry eye. The treatment options include punctual plugs, steroid eye drops, antibiotics, Restasis, and in office gland expression. Physical or chemical injuries of the eye can cause a serious threat to vision. An eye examination should be performed as soon as possible to correct the problem. Our doctors are trained to remove objects and provide the correct treatment to reduce the likelihood of permanent vision loss. Signs and symptoms are usually obvious and include redness, pain, foreign body sensation, vision loss, or double vision. Call our office as soon as possible after the eye injury to minimize complications and to speed up recovery.